Get a real insider’s view of one of the Conservancy’s most innovative—and impactful—youth programs: LINC. A recent graduate of the program returned this summer to produce a video that captures the moments that can change a high schooler’s life. Learn how an amazing young leader’s memory continues to inspire, see how Crissy Field Center’s environmental education programs continue to lead and innovate, and discover how our I-YEL interns are giving a powerful and compelling voice to their generation. For the first time, the Center is organizing a campout that connects current I-YEL interns with alumni of I-YEL, a groundbreaking youth leadership program in its 13th year. By inviting the extended I-YEL family (and the families of I-YELers), this event builds community across generations. Two weeks before thousands of naturalists and community volunteers perform species inventories in the parks during BioBlitz, a group of high school students will unveil their own hands-on, citizen-science research. Learn how they’re getting “wise” to environmental issues. 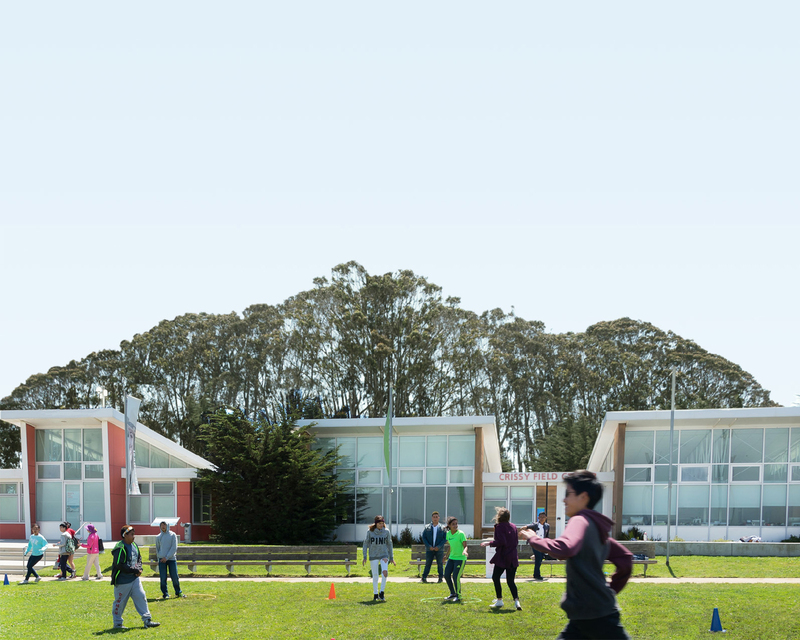 In 2014 at the Crissy Field Center, a National Park Service-supported program will provide more opportunities for kids to visit Alcatraz, a new program will give youth-group leaders the tools they need to lead park trips, and Summer Camp will get in shape with a Fitness Consultant! The year 2013 was an eventful one for the Crissy Field Center. We were able to serve more youth, said goodbye to some dear staff, welcomed new colleagues, celebrated life events, and even had a few special visitors. Hear what our staff had to say about the memorable year. Rob Hill in the Presidio is the only overnight campground in San Francisco—and it takes a special leader to bring groups camping there. In this new video, learn about Camping at the Presidio (CAP) Trained Leaders—and their two-day training course. November is National Homeless Youth Awareness Month. Here in the Golden Gate National Parks, Crissy Field Center provides programs for young people struggling with homelessness. Through these experiences, children and youth get much more than just a walk in the park. Every summer, Park Stewardship welcomes youth interns who help organize and energize volunteer and visitor programs. They also researched and wrote about the parks’ history and resources. Read on for a fresh look at the history of Sutro Heights.